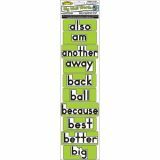 No stand required! 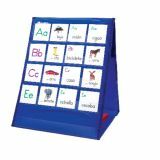 Double-sided, easel-style chart supports itself. 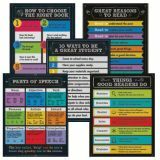 This must-have Evidence-Based Reading and Writing bulletin board set is for all teachers who want to help students improve their reading comprehension and writing skills. 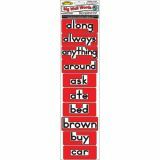 Focal words and phrases are emphasized in eight attractive vignettes that show students how to refer to text to answer questions and support their writing. 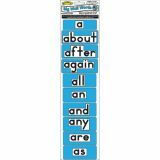 Higher-level thinking is emphasized. 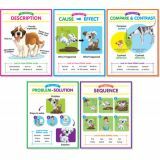 Other pieces include a full-size poster and a graphic organizer that can be used to support any unit of study. 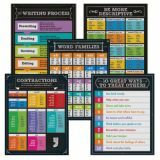 This set also includes a resource guide with display tips and suggested activities. 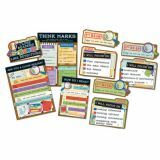 The Evidence-Based Reading and Writing bulletin board set will teach students the basics of Common Core reading and writing. 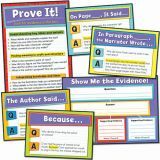 Students will learn to read closely and to search texts for evidence to support reading comprehension and written work. Higher-level thinking is emphasized. 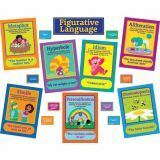 These colorful 12" x 17" mini posters illustrate seven types of figurative language: Similie, Metaphor, Idiom, Hyperbole, Aliteration, Onomatopoeia and Personification. 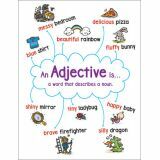 Teacher guide and eight mini signs with additional example phrases are also included.